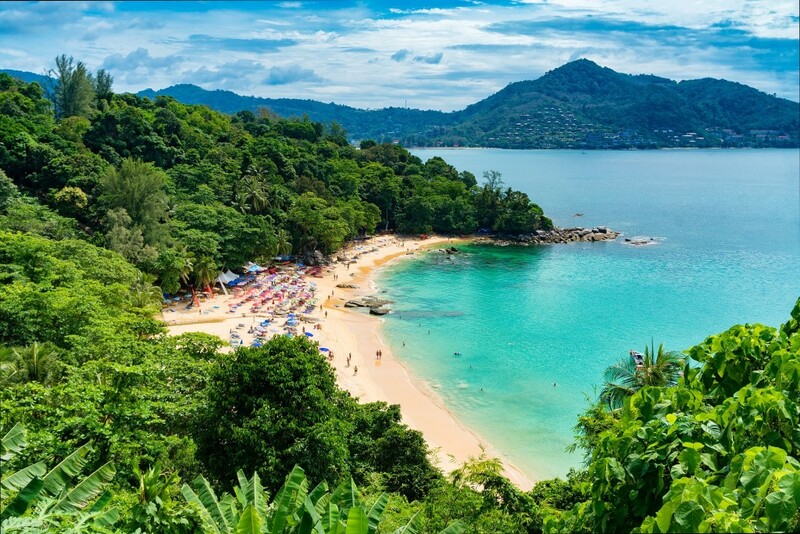 Thailand is known for its beaches. But with miles of powder white sand and sparkling turquoise water, it can be hard to pick the best place to hang your sarong for a relaxing few days or weeks. Here are some of my favorite beaches in Thailand. 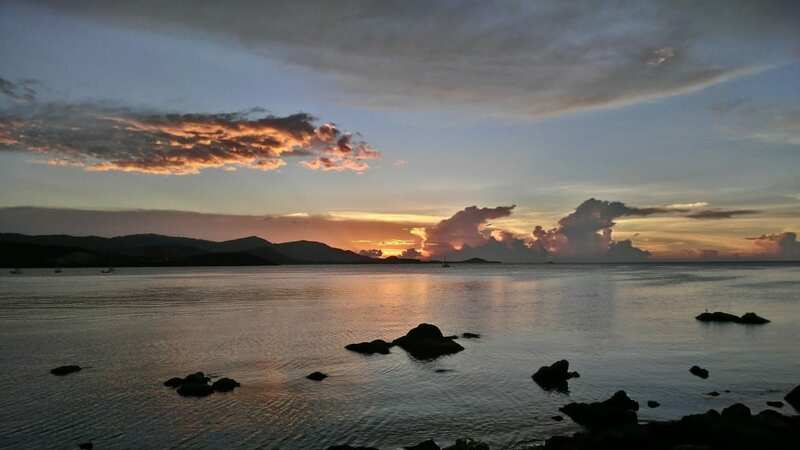 One of the most popular destinations in Thailand, Koh Samui has a reputation for being busy, but there are still plenty of places to find some peace and quiet on the island if you know where to look. From luxury private villas to quiet alcoves, you can sip on a coconut in solitude and still have plenty of delicious dinner options in the evening. On the other side of the mainland, Phuket is another well-travelled island. At high season it may be best to avoid Phuket, but there’s plenty of warm and peaceful pockets to relax in the off-season. And no matter where you go you’ll find plenty of swaying palm trees and spectacular views. If you want somewhere a little quieter, then head to Krabi province on the mainland. Golden stretches of sand are hidden by limestone cliffs, making many parts of Krabi feel like your own private island. If you have an adventurous streak there are plenty of activities that you can indulge in, from rock climbing to kayaking. The huge cliff faces also mean there are no shortage of caves to go exploring in, either on foot or by boat. 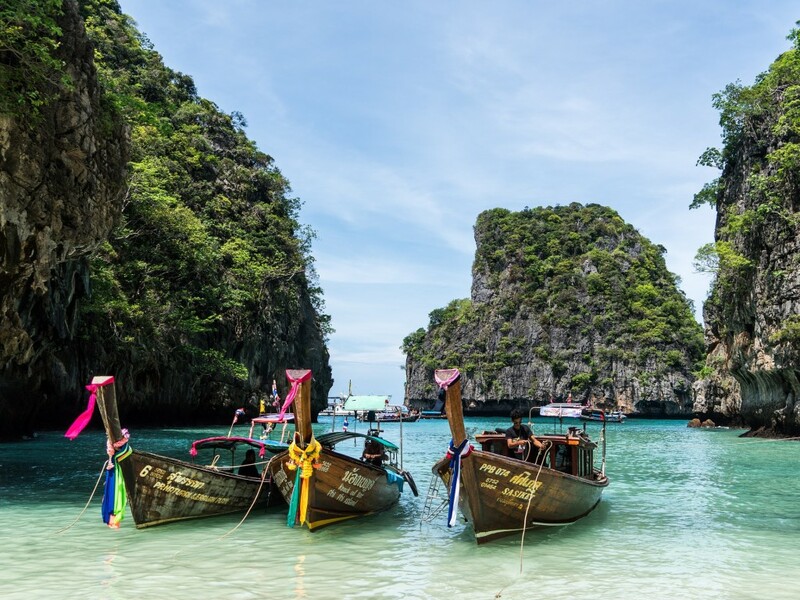 And if you want a change of scenery then the islands of Phuket and Ko Phi Phi are just a ferry ride away. Koh Phi Phi was once one of Thailand’s best kept secrets, but then it was made legendary by Leonardo DiCaprio in the film The Beach. It’s now firmly on many travelers must-see list, but that doesn’t make it any less magnificent to visit. With aqua bays surrounded by steep cliffs, the island delivers an atmosphere or seclusion. Underwater the surrounding waters are teeming with marine life, making it the perfect place to snorkel or dive. Koh Phi Phi is made up of six islands but most are unhabitated, making them perfect for day visits. 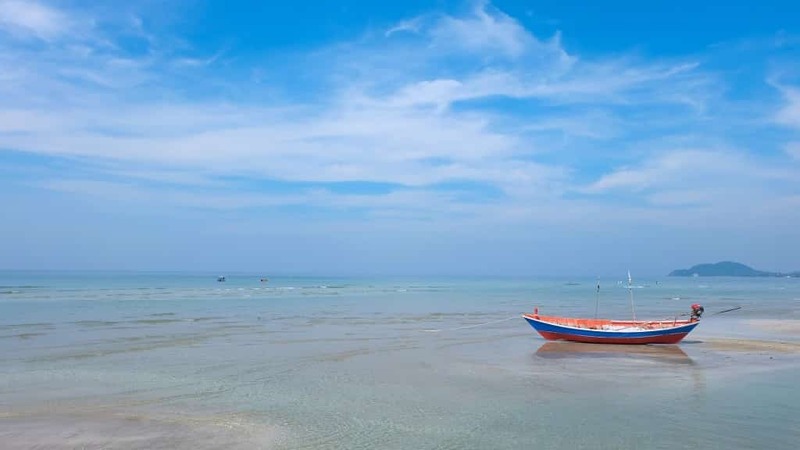 Once a quiet fishing village, Hua Hin is one of the oldest resort beaches in Thailand, favored by royalty. Just a few hours from Bangkok by road, it’s also one of the most accessible. You won’t find many high-rise buildings here, which only adds to its charm. There’s something for everyone here, from beautiful beaches to golf courses. 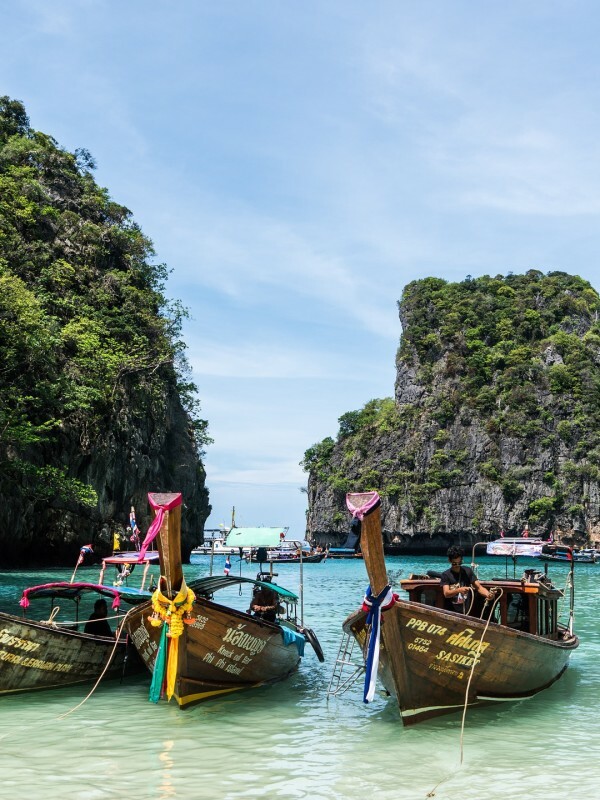 Spoil yourself with a massage, swim under a waterfall or indulge in some of the best seafood in Thailand.